The Eastside Seattle cluster had a blast volunteering. This month, our Eastside Seattle cluster had an opportunity to go above and beyond their au pair duties. 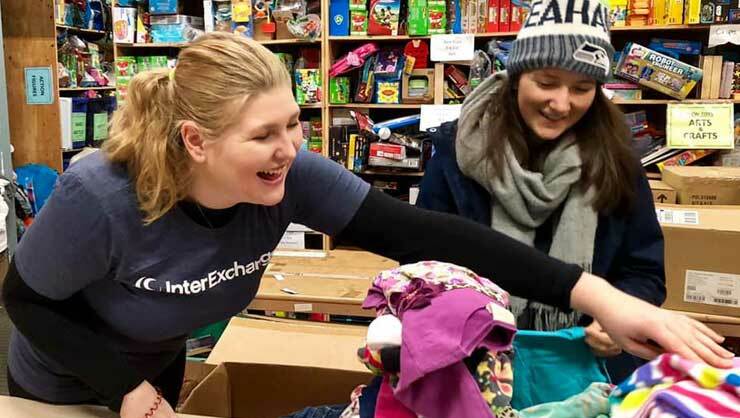 Fourteen InterExchange au pairs gathered to volunteer at Eastside Baby Corner (EBC), an organization that sources and distributes baby food, formula, diapers, cribs, car seats, and other baby supplies to less fortunate families in the community. 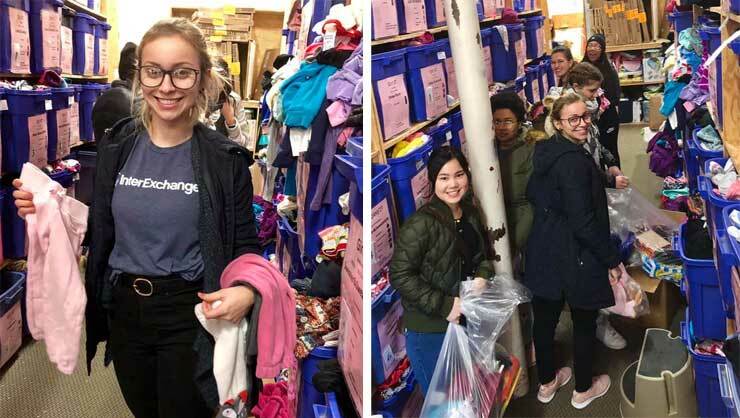 The au pairs prepared supplies for distribution, all with a smile on their faces. Local Coordinator Mary organized the cluster event. Today, we volunteered at Eastside Baby Corner where we sorted and bagged donations to support our less fortunate. It was the first time I had taken my cluster to volunteer at this organization. Fourteen au pairs were present, plus two friends of the cluster and me. We brought 17 volunteers in total! 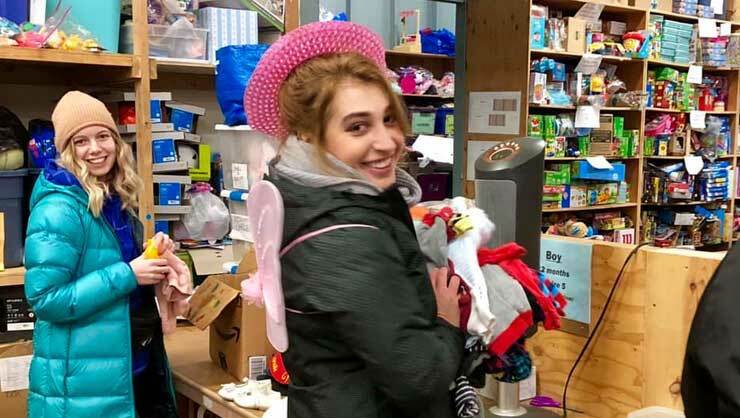 Eastside Baby Corner receives donations from the community and partners with qualified social service providers like case managers, nurses, and teachers to distribute the goods to families. They only have six full-time employees, and the rest of their support comes from volunteers. Eastside Baby Corner relies on volunteers like our au pairs. When requests from agency partners are received, volunteers fill the order within the week. During each shift, the agency has a target how much gets sorted and organized and how many 'head-to-toe, inside-out' bundles they complete. 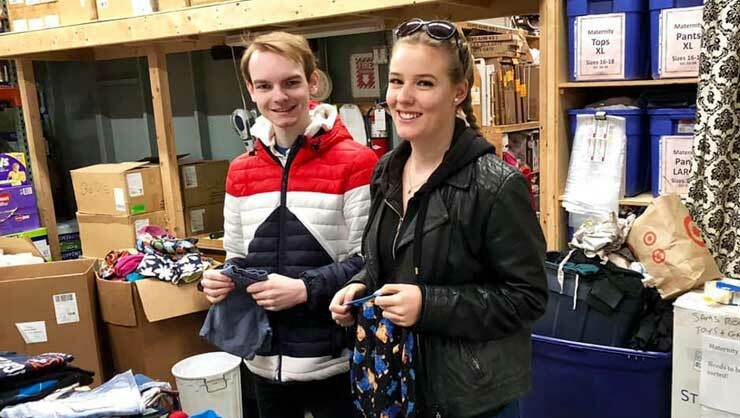 Our Au Pair USA volunteers sorted thousands of items and finished all the bundles for about 1.5 shifts. We were thrilled we beat our target! It's important to have fun while volunteering! The au pairs worked together to surpass their goal. Our cluster worked so hard to put the organization well ahead of their target and had a blast in the meantime. Many of the au pairs mentioned signing up to volunteer in their off duty time. 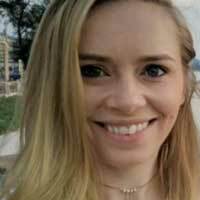 I'm so proud to represent InterExchange Au Pair USA today! 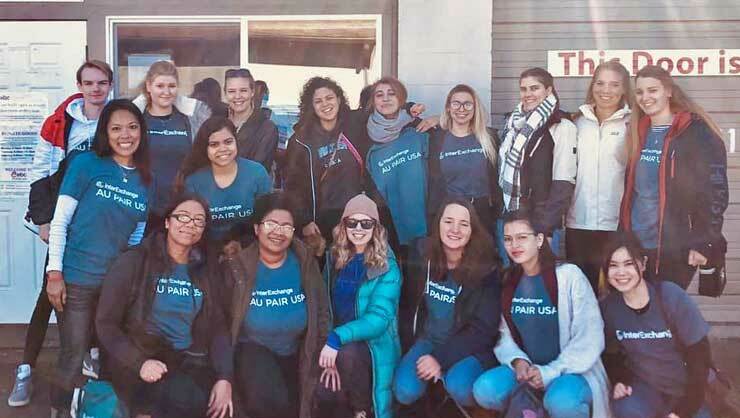 While caring for children, soaking up U.S. culture, and traveling are significant components of the au pair program, one unexpected thing that many of our au pairs end up doing is volunteering. As a non-profit organization, we're thrilled that the culture of giving back shines through all of our wonderful participants.